The OAN has found an amazing new office space! 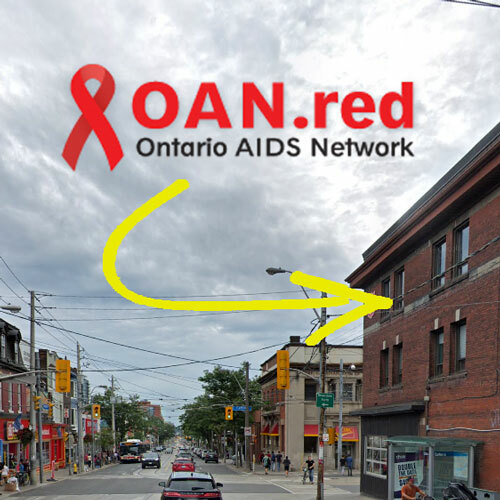 After 5 years behind mirrored window panes overlooking Jarvis Street, the Ontario AIDS Network and the Gay Men’s Sexual Health Alliance (GMSH) will be moving to a bright, accessible space, around the corner in Toronto’s Cabbagetown neighbourhood. Our new address information will be shared as soon as we have settled into the space – by May 1st! We are looking forward to sharing the next chapter of the OAN & GMSH with you!